Funny Just Women Stuff Meme Joke Picture - Hi, ho. What are you doing. Nothing, babe. 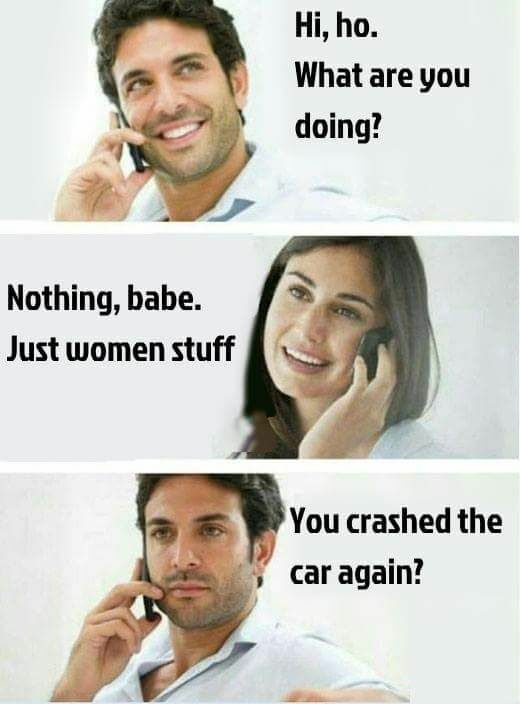 Just woman stuff. You crashed the car again?